Galway is the City best know for its Festivals and Music events. Please find below a list of the major events in Galway and if you plan to attend any of them, our City Centre Serviced Apartments will be an ideal choice of budget Galway Festival Accommodation. 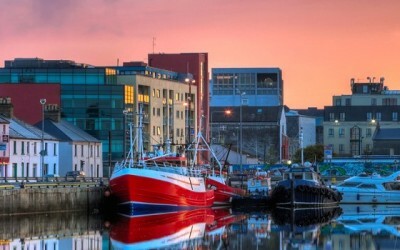 St Bridget’s Apartment Complex offers short and long stay holiday accommodation and is located in Galway City Centre which is in walking distance of all festival venues. If you are travelling in a small group, remember that you can rent the entire holiday house that sleeps up to sixteen people at more than reasonable rate. The Cúirt International Festival of Literature is Ireland’s first literary festival. The festival will bring local, national and international authors to Galway for readings, workshops, discussions, book signings and much more. This Galway Music Festival is based in the historical Centre of Galway City; the Galway Early Music Festival will feature medieval, renaissance and baroque music and dance. You can come, listen and enjoy concerts by internationally-recognized musicians and performers using instruments that they would have used hundreds of years ago. You can attend workshops and costumed performances on the streets of Galway. Galway’s Little Havana Festival is a free and fun-filled festival taking place in Galway city’s Latin Quarter. This Galway based festival will host Cuban-inspired music, dance, street entertainment, art and cultural events on the streets of Galway in various Galway pubs and venues. It will create a unique opportunity for local people and visitors to immerse themselves in a colorful Cuban atmosphere reminiscent of Havana itself. Located in the very heart of Galway city centre. The Galway City Accommodation is only five minutes away from all these activities. The Galway Film Festival is Ireland’s Leading Film Festival. It is a six day international Film Event held every July and welcomes a mad diveristy of filmmaking from around the world. The Festival is very much a Film Lover’s Festival and attracts Directors, Actors, Cinematographers and Artists of all generations and Cultural backrounds, who present their work before their peers. The Annual Galway International Arts Festival is Ireland’s largest international arts festival and it takes place in Galway city. It began in 1978 and since then it has grown into one of the biggest and most popular Festivals in Ireland. The Festival will feature a wide variety of international artists alongside the best of Irish talent and includes music (popular, contemporary, jazz, world, classical and traditional), theatre (indoor and outdoor), visual arts, dance, events and comedy in its programme. Perhaps the most well known of all the Galway Festivals, the Galway Races is still galloping on successfully. Adrenalin-Pumping Action; Heart-Stopping Finishes and Breathtaking Fashion will be the main features at the Galway Races. The Galway City Guesthouse is the perfect place to stay for all race goers as it is just a five minute walk to the Race Track bus stop. Every September, Galway City comes to life with Seafood & Oysters as it celebrates the Galway International Oyster & Seafood Festival, the most internationally recognized food festival in Ireland and the world’s longest running International Oyster Festival. The Festival will feature a seafood trail in some of Galway city’s finest restaurants, various events on the streets of Galway and the Festival Finale with family activities, live music and cooking demonstrations.